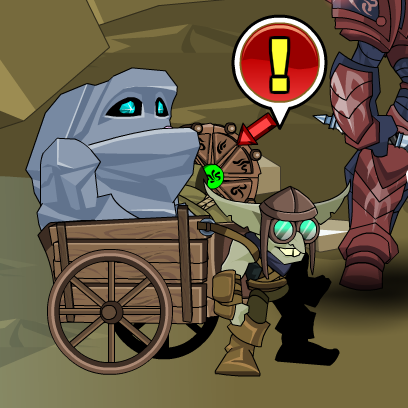 Used in the 'Fired & Re-Hired' quest. The "!" will switch to the other quest giver once it's clicked. If acquired via quest, cannot be sold. Crag & Bamboozle Bank Pet. Thanks to Ashley_1, Gabisinha_xd, Mopar and Tendou no Mazo.